Refund claims for open tax years are an often overlooked opportunity to ensure that a taxpayer takes advantage of tax benefits to which it is entitled. The recent tax reform legislation makes refund claims more valuable, particularly for tax benefits that will be reduced or eliminated beginning in 2018. It is important for taxpayers to understand the rules for filing a refund claim so valuable tax benefits are not overlooked. Now that corporate tax rates have been reduced starting in 2018, does it make sense to look for refund claims in earlier tax years? Answer: It makes more sense than ever to look for refund claims for earlier tax years. The corporate income tax rate differential between 2018 and earlier years makes a potential refund claim for an earlier year more valuable in relative terms. The default statute of limitations is three years from the filing of the original return, so there is still time to identify potential refund claims for tax years going back to at least 2014. Why Should Taxpayers Consider Filing a Refund Claim Now? It is always a good idea to look for potential refund claims for previous tax years. Not doing so is leaving money on the table. This is truer now more than ever because of the enactment of the Tax Cuts and Jobs Act. Deductions and credits for 2017 and prior tax years just became more valuable, relatively speaking, because of the significant rate cuts starting in 2018. In addition, the Tax Cuts and Jobs Act eliminated important tax benefits going forward, but they can still be claimed for past years. The most prominent example is the domestic production activities deduction (Section 199), which has been repealed for tax years beginning after December 31, 2017. Despite the repeal, at least three tax years (2014, 2015, and 2016) may still be eligible for a Section 199 refund claim (in addition to the 2017 tax year, which presumably will be filed in 2018). Corporate taxpayers that have not previously considered whether they could qualify for a Section 199 deduction still have a chance to take advantage of that deduction going back to 2014. The same is true for other deductions and credits that the Tax Cuts and Jobs Act has eliminated. How Far Back Can Taxpayers Look for Potential Refund Claims? A refund claim must be filed within the statutory limitations period. The default statute of limitations for a refund claim is three years from the date the original tax return was filed, or two years after the tax to be refunded was paid, whichever is later. For a taxpayer whose tax year ends December 31, assuming that the original return was filed on the September 15 extended deadline, the time for filing a refund claim is still open for the 2014, 2015, and 2016 tax years. An important exception to this rule, however, is very helpful to taxpayers currently under audit. For any tax period under examination for which the taxpayer granted an extension to the Internal Revenue Service on Form 872, a refund claim may be filed up to six months after the expiration of the extended statute date for that tax year. In other words, if a taxpayer has open audit from previous years, it’s not too late to file a refund claim for those open years. Given the extended nature of Large Business and International (LB&I) Division examinations in recent years, timely refund claims may sometimes be filed ten years or more after the original return was filed. How Do Taxpayers File Refund Claims? A claim for refund for corporate income tax is generally filed using Form 1120X, Amended U.S. Corporation Income Tax Return. If the refund involves an item of income, deduction, or credit that is supported by a schedule, statement, or form, the taxpayer must attach that schedule, statement, or form to Form 1120X. Form 1120X should be filed at the service center where the original return was filed. Under the variance doctrine, if an issue is not raised in the refund claim, it cannot be raised in a subsequent refund suit. For this reason, it is important that a taxpayer’s refund claim raises all the issues it intends to litigate. By the same token, however, a taxpayer can add issues to a refund claim that were beyond the scope of an audit for that tax period, as long as the claim is filed within the statute of limitations. Historically, LB&I taxpayers under examination have been able to make “informal” refund claims with their examination teams in lieu of filing Form 1120X. This procedure was advantageous because it allowed the refund claim to be made without requiring the formality of filing an amended return. The IRS recently tightened the rules for such informal claims, requiring that they be made within thirty days of the beginning of the examination unless the issue has been identified for examination. What Happens After Refund Claim Is Filed? After a refund claim is filed, the IRS has several options. It could grant the claim and issue a refund. It could deny the claim outright. It could initiate an examination, which is conducted in much the same way as an examination of an original return. Or it could do nothing. Refund claims above $2 million ($5 million for C corporations) are subject to review by the congressional Joint Committee on Taxation. No refund can be paid until thirty days after it is submitted to the Joint Committee. As a practical matter, Joint Committee review can take much longer than thirty days, and the IRS will not issue any refund while that review is pending. This may delay the issuance of a refund for weeks or months in large dollar cases. What If IRS Takes No Action on Refund Claim? Sometimes the IRS takes no action on a refund claim. The statute of limitations for filing a refund suit remains open as long as the refund claim is pending. A taxpayer may not file a refund suit until after six months have passed from the date the claim was filed. If a taxpayer fully expects the IRS to deny its claim, there is a procedure for requesting an expedited denial. A taxpayer may file the refund claim with a written request that the IRS immediately disallow the claim. The IRS has discretion whether to honor that request, however, so a taxpayer may have to wait the full six months anyway before filing suit. What Happens If Refund Claim Is Denied? To deny a claim, the IRS issues a formal notice of claim disallowance, which must be sent by certified or registered mail. Mailing the notice starts the clock for the statute of limitations period for filing suit, so it is important for a taxpayer to note the date of the notice of claim disallowance. The notice must contain an explanation of the IRS’ reasons for denying the claim. In practice, these explanations are often summary in nature. Once a refund claim is denied, the taxpayer has the right to sue the United States for a refund in federal court. That suit must be brought within two years of the date of disallowance. There are two refund forums available: the federal district court with jurisdiction over the taxpayer’s residence or principal place of business and the U.S. Court of Federal Claims in Washington, D.C. Unlike in Tax Court, where government counsel comes from the IRS Office of Chief Counsel, in refund litigation the IRS is represented by trial attorneys from the U.S. Department of Justice, Tax Division. A refund suit in federal court proceeds like any other civil case, including discovery and the potential for a jury trial if either party demands one. Once a refund suit is filed, jurisdiction for approving a settlement passes to the Attorney General. Although the views of the IRS are considered regarding any settlement offer, the Department of Justice has the final say on whether to concede or settle a refund suit. 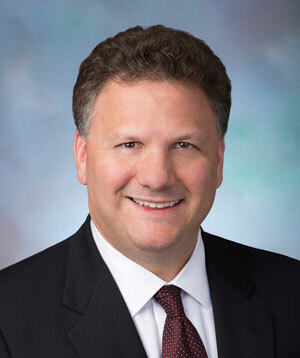 Rob Kovacev is a partner in the Washington, D.C., and San Francisco offices of Steptoe & Johnson LLP. He previously served as senior litigation counsel at the U.S. Department of Justice, Tax Division.